EP294: Is a HELOC Still Tax Deductible? This episode of Investing in Real Estate is sponsored by ZipRecruiter. With ZipRecruiter, you can post your job to 100 plus job sites with just one click. Find out today why ZipRecruiter has been used by businesses of ALL sizes to find the most qualified job candidates with immediate results. Visit ZipRecruiter.com/investing to post your job for free! The 2018 tax code brought about a lot of opportunities for real estate investors. 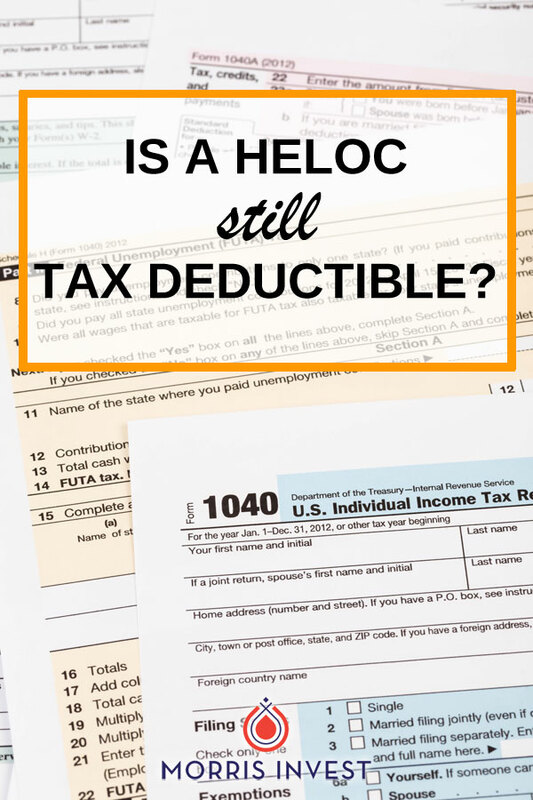 And since we’re big proponents of using a home equity line of credit for investing, we’ve gotten this question a lot recently: is a HELOC still tax deductible? On this episode of Investing in Real Estate, I’m discussing how changes to the tax code affect HELOCs. I’ll discuss what has changed in the policy, and what this means for investors. Come along for episode 294! Traditionally, a HELOC is used by homeowners to make home improvements, but there are no limits. You could use a HELOC to buy a car, or pay off your credit cards. For real estate investors, one amazing strategy for acquiring properties is to use the HELOC from your primary residence to purchase rental real estate. Previous to this year, the interest from your HELOC was tax-deductible, which was just another benefit to this awesome acquisition strategy. But now that the tax code has changed, is HELOC interest still tax deductible? The short answer is yes, but the rules have changed. The new tax law allows HELOC interest to be deducted, but in a more narrow way that does not benefit investors. Starting this year, HELOC interest is only tax deductible when the line of credit is used for its intended purpose: capital improvements to a primary residence. On today’s show, I’ll speak more in-depth about how the tax code changes effect real estate investors. I’ll discuss whether or not investing with a HELOC is still worth it, and discuss its other benefits. Don’t miss episode 294 of Investing in Real Estate! What was the previous limit for deducting HELOC interest? Why is a line of credit great for purchasing properties? What is a capital improvement?